Pixies are a mainstay of any independent music playlist, and are undoubtedly one of the most influential alternative acts of the 80s and 90s. ‘Here Comes Your Man’ is probably their most recognisable tune, but hasn’t typically been associated with the ukulele – until now, that is. In fact, it’s pretty easy to translate to Ukulele – even the main riffs work very well on the four-string, and are relatively straightforward to play. I’ve tabbed out the intro and the bridge riffs below (see the PDF for a more accurate take on the chord timings). 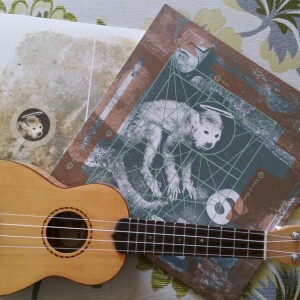 If you want a takeaway version to print out, you can download the PDF of Pixies – Here Comes Your Man Ukulele Chords & Tab.